I’m a sweets girl who loves Banana Pudding, but my waistline doesn’t love all the extra calories it packs on. So when the folks at Yoplait® asked me to 1-Up My Cup it took me less than a minute to decide what kind of milkshake I was going to create. 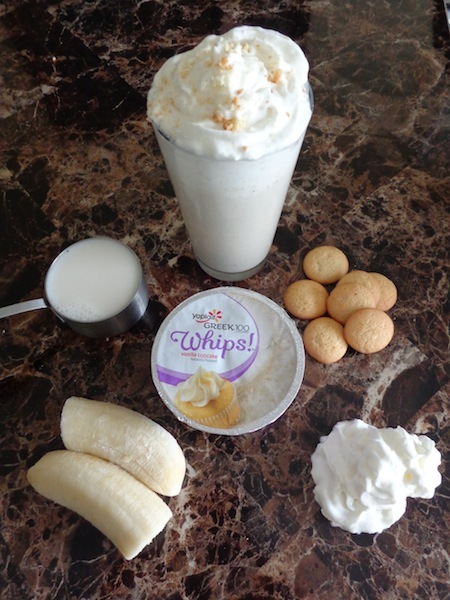 Enter this guilt-free Banana Pudding Milkshake! 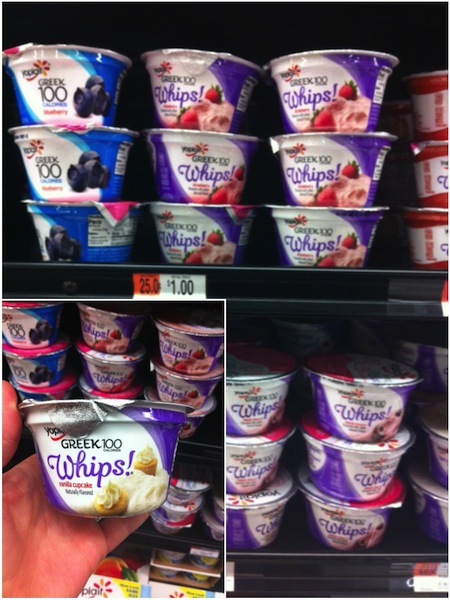 As I headed to the yogurt section at Walmart the Yoplait® Greek Yogurt caught my eye. 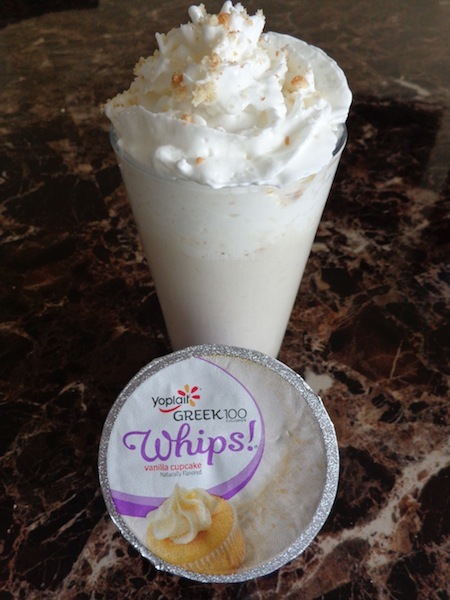 Not only do they offer Greek yogurt but they offer Whips! too. Uhm, yes please! Did you know that Yoplait® has 125 yogurt flavors? (Yes, 125!) Had I not already decided on my Banana Pudding Milkshake creation I would have had a hard time choosing which yogurt to put in my cart! With so many wonderful flavors to choose from, the sky is the limit when you’re choosing which yogurt to 1-Up Your Cup with. Which flavor will you choose? It was easy peasy whipping up this milkshake. You’ll be sipping from your straw in under 5 minutes. Funny story – As I was taking pictures for this post Trent was patiently waiting in the wings for a sip. After all, he was my taste tester for this creation…and it passed the test with flying colors! 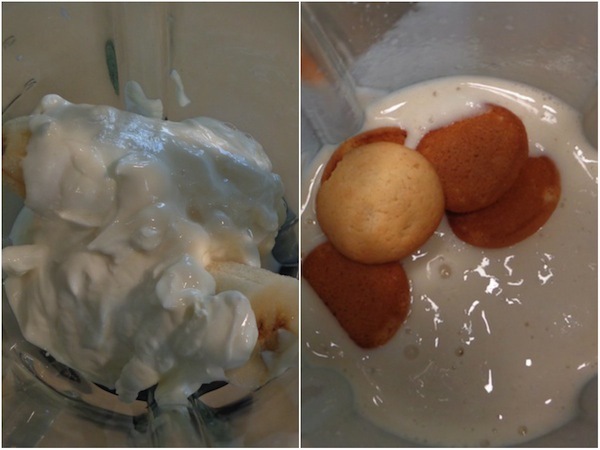 Blend together the yogurt, banana and milk until smooth. Place the remaining vanilla wafers in a sandwich bag and crush. 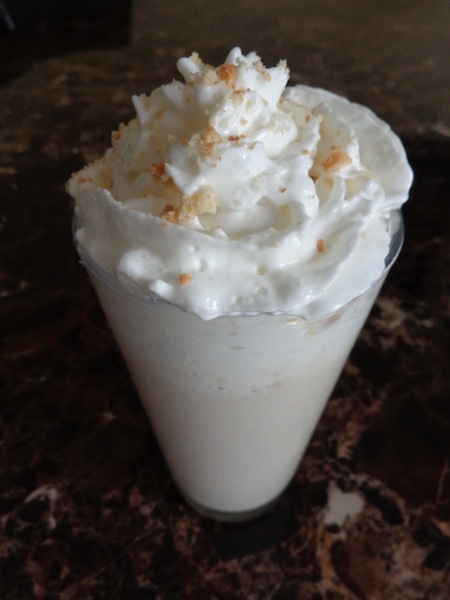 Pour the shake into your glass and top with whipped cream and crushed vanilla wafers.